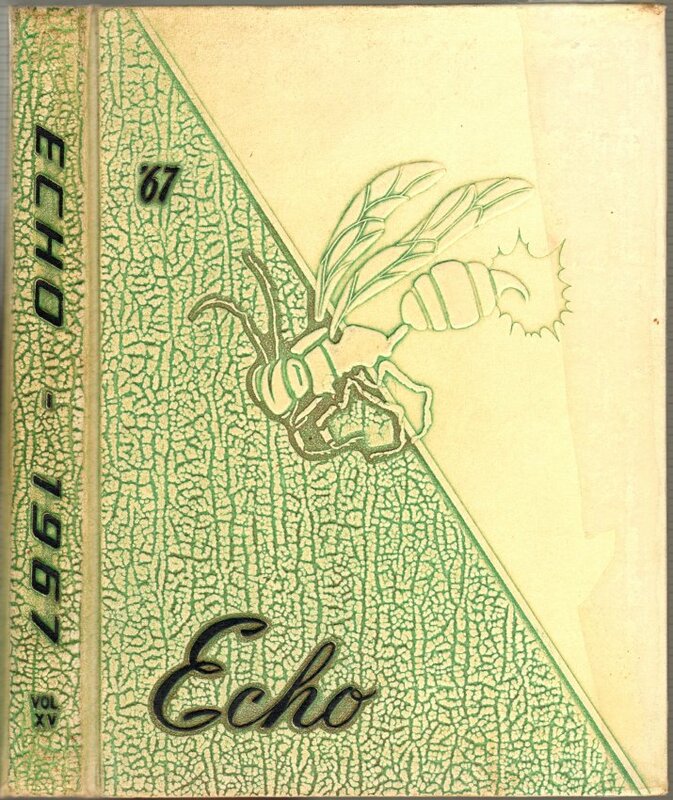 1967 Echo Front Cover. This cover white and green with textured black graphics. The spine has black lettering. Open the Book.